You may recall that Patrick Carney and Justin Bieber got into a small feud last week (Carney said Biebz didn’t deserve any Grammys; Bieber said Carney should get beaten up). 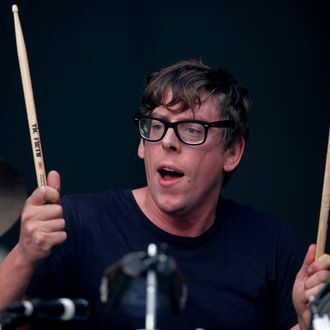 Right on cue, the Beliebers started attacking Carney on Twitter, but instead of hiding in the e-corner, the Black Keys drummer changed his Twitter handle to “Justin Bieber’s drums” and spent most of his weekend retweeting and mocking the teens. Example: “I do it for the mony and the swag.” Also: “I just swagged out loud. SOL.” Apologies in advance for using SOL as a real acronym.